There's fear Syria's ongoing civil war is quickly getting worse. In Syria, fears are growing that the country's two-year-old civil war is getting worse. 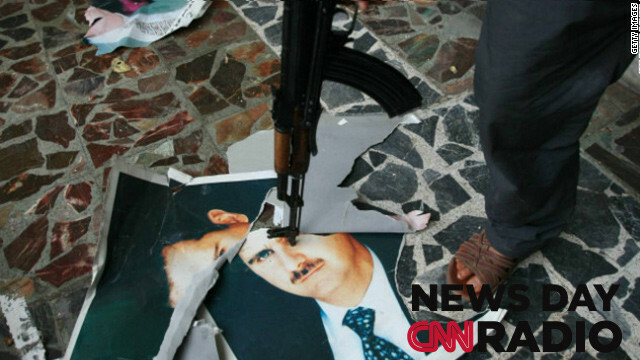 Anti-regime activists say the conflict has already claimed some 40,000 lives. Meanwhile, international peace envoy Lakhdar Brahimi was in Damascus today for meetings with Syrian President Bashar Al-Assad. Afterward, Brahimi told reporters the two men talked about ways to resolve the conflict.
" We have exchanged oppinions about the possible steps that can be taken in the future. I also talked about which steps I see need to be taken to help the Syrian people get out of this crisis," Brahimi said. This time of year, the quasi-parasitic plant known as mistletoe takes center stage in songs and decorations. The evergreen got its start as a holiday decoration because of its beauty. Behind that beauty though lies a dark side. Mistletoe actually saps energy from trees and can eventually kill them. It first appeared in as a holiday decoration in early 18th century Great Britain. That's also where mistletoe's kissing tradition began says Dr. Ronald Hutton, who studies British custom and history. "The custom of kissing under the mistletoe arises in London in the late 18th century it's about as old as America itself and it originates among servants below the stairs in quite rich homes in London, " says Hutton. And before hip-hop's Outkast ever won a Grammy for album of the year and sold some 50 million records, Andre 3000 and Big Boi were just a couple of Atlanta teenagers in search of a hit. They found their first piece of musical success when they were asked to be a part of a Christmas album. "They're like 'we're gonna put ya'll on a Chrismas album'. We're like 'man they're trying to sabotage us before our career even gets started," Big Boi tells CNN's Gavin Godfrey.